THREE National Basketball League championship banners hang from the rafters at Brisbane Bullets home games. And three people in particular played a major role in winning those titles. 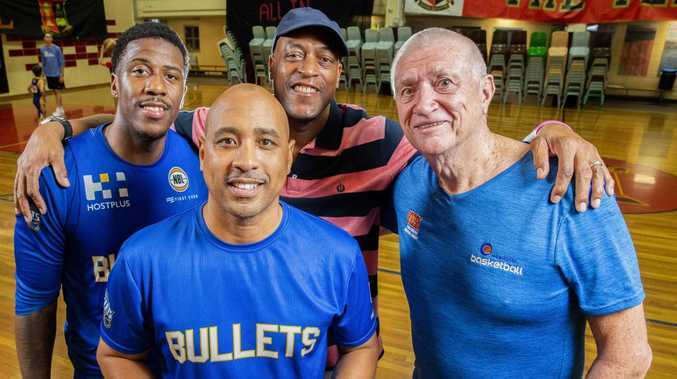 Brian Kerle coached the Bullets to their first two championships in 1985 and 1987 with Leroy Loggins the star of those teams, while current Brisbane assistant coach CJ Bruton led arguably the greatest team in the history of the NBL to the 2007 victory. 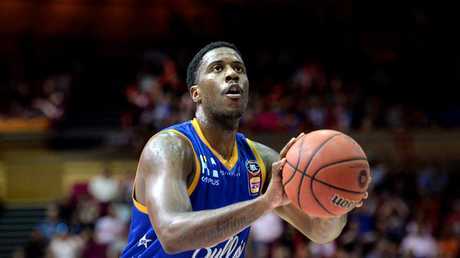 Fast forward 12 long years and the Bullets, based at Carina's Clem Jones Centre, are back in the playoffs and star US import Lamar Patterson is hoping to join the illustrious group when his team's finals campaign starts against the Perth Wildcats tomorrow night. Two-time championship coach Brian Kerle drew comparisons between the superstar he coached in Loggins and Patterson. "I think he's (Patterson) one of the best imports to come out here in a while," Kerle said. "If I was the Bullets I would be doing everything I could to keep him out here and be part of the club for years to come. "If he can lead the team to a championship and stay here for a while, he could definitely be a person similar to what Leroy was. Someone who is the leader of the Bullets and when someone thinks of the team, they'll think of Lamar. "He's a great person and a great player and I'd love for him to stay and be part of the Bullets long term." 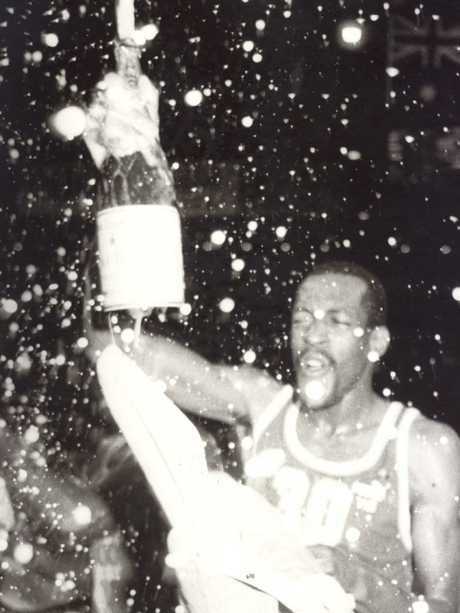 Leroy Loggins celebrating the 1987 championship win. It came down to the last game of the regular season for Brisbane to claim fourth spot but the franchise's best ever player believed the team could add a fourth banner to the proud history of the Bullets. "I have no doubt the current team is capable of going all the way, they've shown they can beat the top teams throughout the season," Loggins said. "It would mean everything to Brisbane basketball and the city for the team to come back from the dead a couple of years ago and win the championship." Kerle also believed the team could win this season's title and said it would mean a lot to the southeast Queensland basketball community. "Anyone in this finals series can beat anyone," he said. "I wouldn't have given the team the Bullets had at the start of the season much chance but with this group I think they can do it. "Winning would mean a lot for young players in the region. I do clinics with juniors all the time and all they talk about is the NBA, if we can get them to start talking about the NBL and the Bullets, that will only help take the game in the city further." Bullets assistant coach Mick Downer is also a Cleveland resident and will look to finish his three-year tenure with the team on a high with the former John Paul College student set to move to New Zealand. Brisbane take on the Wildcats in a three-game semi-final series with game two at Boondall on Saturday at 1.50pm.